The purpose of this online service is to provide you with information about Simply Laser and the Cosmetic Beauty Services industry generally. Other than circumstances such as unlawful activity or serious threats to health and safety, we do not share Personal Information with other agencies. If you ask us about an issue that needs to be dealt with by another agency, we will provide you with the necessary details to make contact yourself. You may opt out of further contact from us at any time. This online service is hosted in secure, government accredited facilities. To help protect the privacy of data and personal information we collect and hold, we maintain physical, technical and administrative safeguards. We update and test our security technology on an ongoing basis. 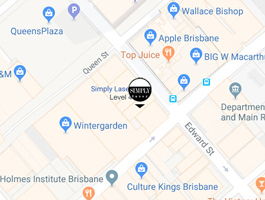 We train our staff at our Brisbane laser clinic about the importance of confidentiality and maintaining the privacy and security of your information. Access to your Personal Information is restricted to employees who need it to provide benefits or services to you.